Knights of Creativity Spirit & Ale: A Couple of 2009 Anniversaries! What might be a good beer of choice to toast The Windy City? How about Guinness? Guinness turns 250 in 2009. 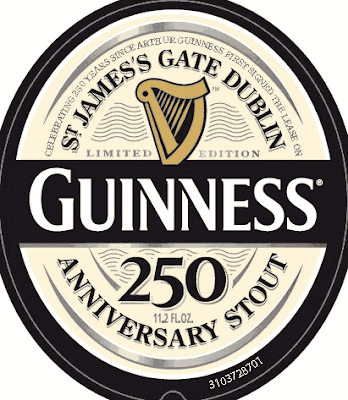 (The exact date of its first pour is lost in the murk of history) and the brewer releases its new Guinness 250 Anniversary Stout on Friday. According to history, Arthur Guinness had a long-term outlook. In 1759, Guinness signed a 9,000-year lease on the St. James's Gate Brewery in Dublin with a total outlay of about $16,400 over 250 years. (From a Chicago Tribune Article by Mike Espositto): If you are wondering whether that's the cheapest rent ever, a place to check is the Guinness World Records. First published in 1955, the book was the brainchild of Guinness managing director Sir Hugh Beaver. He and some hunting companions disputed which game bird was fastest—the golden plover or the grouse. An instant success, the book probably prevented hundreds, possibly thousands, of bar fights. Though the record book parted from the brewer in 2000, it continues to publish annual editions. 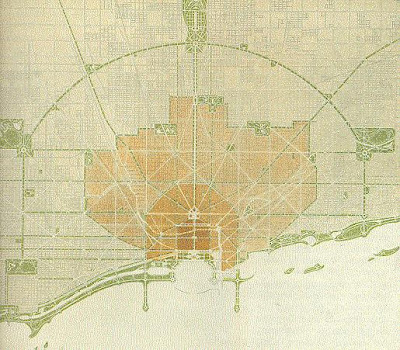 From Daniel Burnham comes a great "Knight's Lesson": Endeavor to make no little plans. Make no small plans. They have no magic to stir humanity’s blood and probably themselves will not be realized. Make big plans; aim high in hope and work, remembering that a noble, logical plan once recorded will never die, but long after we are gone will be a living thing, asserting itself with ever-growing insistency. Remember that our sons and daughters are going to do things that will stagger us. Let your watchword be order and your beacon, beauty. Happy Birthday Chicago and Guinnes! Thank you for the brief but powerful lesson as well as for a reason to knock a couple back! Here in the states we often toast "Y Day" -- of course, that's any day that ends in a "y." Just like Jimmy Buffet's "It's 5 O'Clock Somewhere"...it's 100 year anniversary of something somewhere. I'm with Sir D...never at a loss to hurl a frosty down the pipes!